Do I get to play a role in the murder mystery? Yes! The best thing about our murder mysteries is that each guest has a character and a role to play in the plot. No. YOU are the stars of the show, which is what makes our murder mysteries so vibrant and enjoyable. 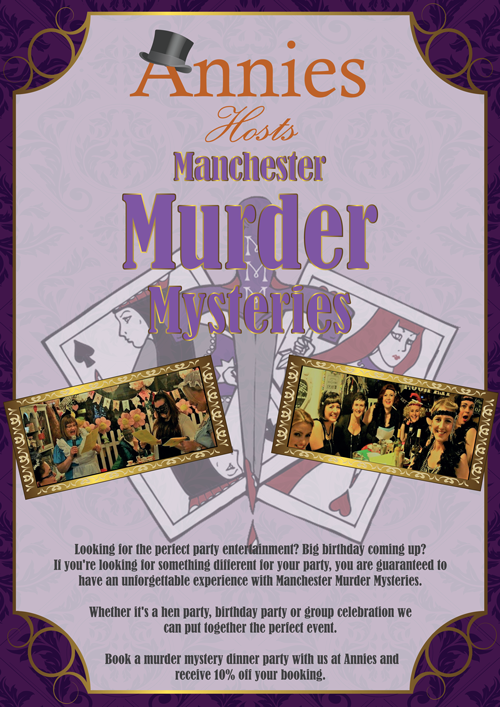 We are happy to travel throughout the UK to host a murder mystery for you. Please let us know where you are based on enquiry. 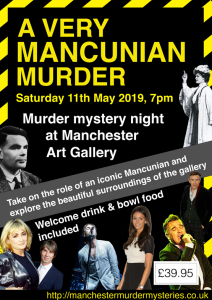 But please note that our ticketed events are only in Manchester. How do I buy a ticket for a murder mystery event? Easy! Head over to our events page and click on the event you want to buy a ticket for. Scroll to the bottom of the page where you can enter how many tickets you would like. Click ‘Add to cart’ and follow the prompts through to the checkout. We take payments using PayPal – but don’t worry if you don’t have a PayPal account. Once you reach the PayPal screen, select ‘Pay using a debit or credit card’. Unless specified, tickets are not sent out as physical tickets – we will add your name to our guest list once you have made your purchase. You can indeed! You can buy as many tickets as you need for you and your party. What do I need to do once I’ve bought my ticket? You don’t need to do anything – we will be in touch closer to the time of the event with all the details you’ll need to know. Can we dress up for the murder mystery? And what if I don’t want to? It’s completely your choice if you’d like to get into fancy dress or not. We always send out fancy dress suggestions with your event information, but we understand that dressing up is fun for some, frightful for others! Are murder mystery tickets refundable? No. But you can give your ticket to a friend so they can come along instead. Make sure you let us know in advance though, as we can’t let them in without your permission. How long do murder mysteries last for? Murder mysteries last for between 2 and 3 hours depending on the type. We keep the activities flowing and there’s always something fun to be getting on with. When should we arrive for the murder mystery? Please arrive no later than 15 minutes before the start time. This is so we can make a prompt start and not keep the rest of the guests waiting. What if we are late for the event? I’m afraid we will need to start without you. We don’t want anyone to miss out, so please read all of the event details we send to you and arrive on time. Are refreshments provided at the murder mystery? Some of our events include a drink, a snack or a meal with the ticket price – this will be clearly stated on the event poster and details on the website. If your chosen event does not include any refreshments with the price, rest assured there will be a bar so you won’t go thirsty! Very rarely, but don’t worry. If we need to cancel an event for any reason, all ticket holders will be fully reimbursed for their ticket purchases. What do I need to do to book a murder mystery for a private party? We’ll then be able to give you a quote and get the ball rolling. How many people can come to a private murder mystery? We can hold a murder mystery party for 10 to 100+ people. There is a strict 10 person minimum though, so to get the best value by inviting as many people as you can! Can we have the murder mystery over dinner? Yes you can! 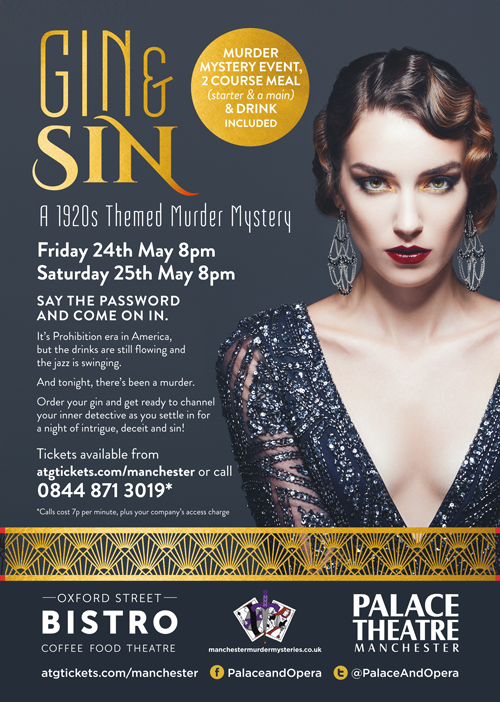 Let us know when you make an enquiry and we can book you a great restaurant where you can enjoy you murder mystery with refreshments. Can we have a hosted murder mystery at home or a weekend venue? You can! Our hosts are happy to bring the fun to you. Another option is to download a murder mystery pack and run your own. Is there a deposit needed? Yes, a non-refundable deposit is required for each private party murder mystery. The amount varies depending on the event you’ve booked. For example, if you’ve booked a murder mystery party at home we will need a 50% deposit. There are more details on deposits and pricing in our terms and conditions which we’ll send to you on booking. What information do I need to give you about my guests? 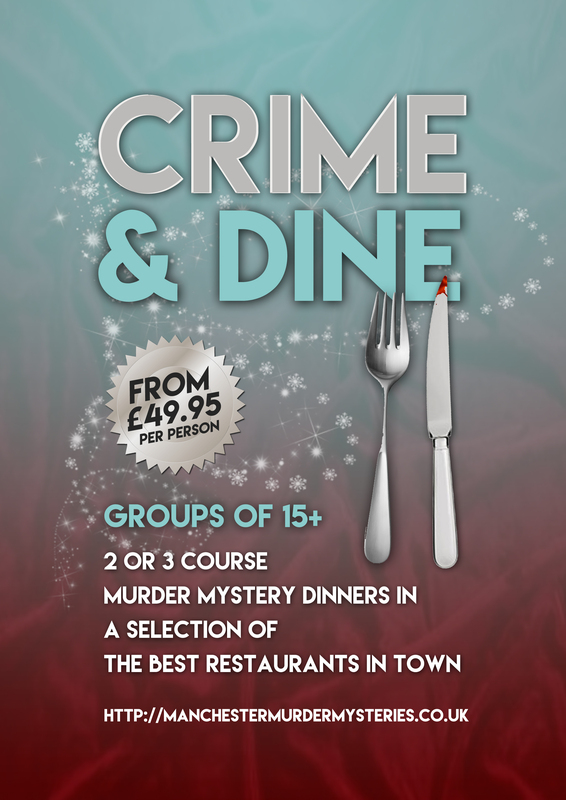 If you’re enjoying a meal with your murder mystery, we’ll simply need to know guest names and their meal choices (you will be sent a menu in advance) with any dietary requirements. We do not need to collect contact details for every guest. Will I get my murder mystery character details in advance? If you are of a small to medium sized group, happy to collect and share all your guests’ contact information with us, and are keen to know which roles you’ll be playing in advance, then yes this can be arranged for your party. However most of our themes do not require prior knowledge of your role – simply dress to the theme, turn up and be given a part! Can we dress up? And what if I don’t want to? It’s completely your choice as to whether you get into fancy dress of not. We always send out fancy dress suggestions, but we understand that dressing up is fun for some, frightful for others! How long do events last for? Murder mysteries run for between 2 and 3 hours depending on the type. We keep the activities flowing and there’s always something fun to be getting on with. What happens if someone cancels? If one of your party cancels, you can offer the space to someone else. Make sure you let us know with at least 2 weeks notice so we can send out their character part.